Reach your customers online at the exact moment they are looking to buy. With more than 15 million hits a month, your business will get the online exposure you are looking for. Grow your brand, increase awareness of your business, promote new products and services and even advertise when you are hiring with the Nex-Tech Classifieds. The Nex-Tech Classifieds will boost your business sales. Customize how you reach your customers. Promote your business in banner ads, in the Nex-Tech Classifieds App, or post your own listings with a Business Pro Account. Expand your business reach. 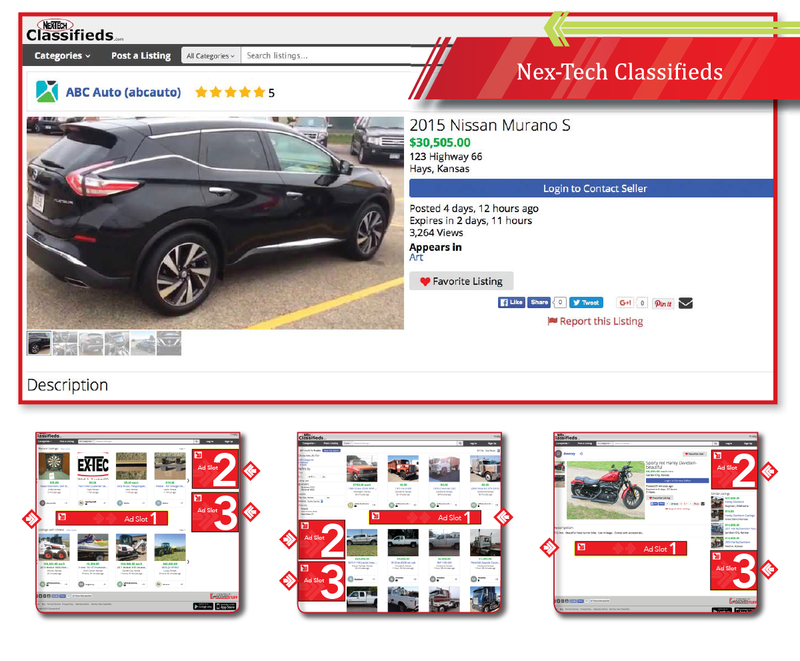 Over 250,000 unique visitors shop the Nex-Tech Classifieds each month. Target your ads within certain counties, regions or across the country. Click here to begin posting listings for your business. To learn more about advertising your business via web banner advertisements, please complete this form and a member of the advertising solutions team will contact you. Please allow two business days for a response. 735 Enter this verification number below.